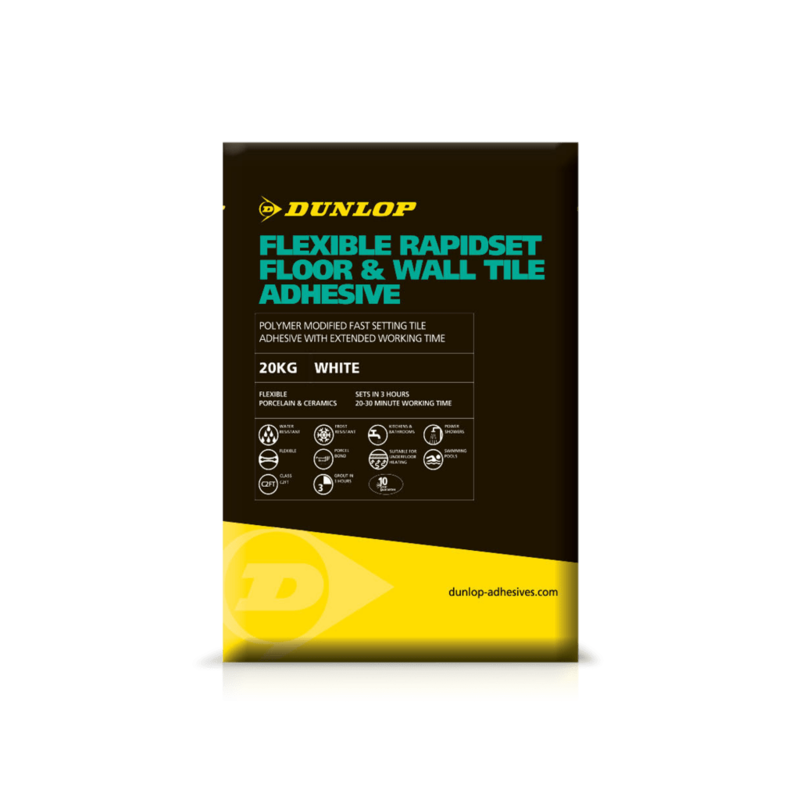 DUNLOP FLEXIBLE RAPIDSET ADHESIVE is a white rapid-setting, powder-based tile adhesive, suitable for fixing floor and wall tiles, fully vitrified including porcelain, mosaics, quarry, brick slips and stone cladding. 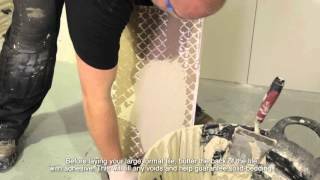 It offers many benefits to users including rapid-setting properties meaning tiles can be grouted 3 hours after fixing. The set adhesive is frost and water-resistant and can be used in showers, or under continuous immersion such as swimming pools. Longer working time and increased open time allows for larger mixes and gives additional time to apply the adhesive and fix the tiles. Depending on the nature and flatness of the surface but on a level background the amount of adhesive required will be approx. 2kg/m2 for dry walls and approx. 4kg/m2 for floor, exterior and wet areas.